Sweeping Social Security reform could happen SOON! I’m not talking about some minor adjustment to an obscure clause in the regulations, I’m talking about nearly everything changing. I’m going to break down the 6 BIG Changes that’s likely to affect YOU. This bill was first introduced in April of 2017. Since the house was still controlled by the Republicans, it died a quick death. Now it’s back. This time, the Democrats are in control of the house and there is gossip that President Trump may be on board with his support. This is one you need to watch! It already has nearly enough co-sponsors to pass it through the House. The Senate is still controlled by Republicans, so it’s not as certain there, but at the very least, this proposal will show you what’s on the mind of the Democrats and give us a hint at how much support the Republicans are likely to give to a bill with these sorts of provisions. This proposal would include both tax cuts and tax increases, a change in the way cost of living adjustments are calculated, and an across-the-board benefit increase. After reading the Bill I want to share with you the 6 things I think will have the most impact on the majority of Americans. Just understand…this is not a deep dive into each of these topic areas. It’s likely to change as the process moves forward and we’ll save the deep dive for a series when and if we get a final signature-ready Bill. Also, the purpose of this post is not to share my opinion of the proposal. Although I’m certainly not scared to do so, there are a few things that need working out before I can decide if I view this bill favorably or not. What I intend to do is give you a quick summary of this proposal that is devoid of the hyperbole that I’m sure you’ll hear from each side. Let’s get started with the 6 Big Changes that’ll come from this Bill. Number one: A benefit increase. There will be an across the board increase to benefits. This will be retroactively applied to everyone who is currently receiving benefits as well. The way they’ll accomplish this is by a slight change to the Social Security formula. Currently, your historical earnings are applied to a crediting formula at age 62 to determine your benefit amount. The only change is that the top number in this formula will change from 90% to 93% credit to your benefit amount for the earnings in that range. The estimate is that benefits will increase by an average of 2%. Number Two: The second big change is a switch to CPI-E. Currently the cost of living adjustment is calculated with the CPI-W. This methodology has been criticized for not taking into account that a retirees expenses are not the same as a working person. The BLS has kept up with an experimental inflation number for the past several years called the CPI-E. In this measurement, they use households over the age of 62. From December 1982 through December 2011, the CPI-E rose at an annual average rate of 3.1 percent, compared with increases of 2.9 percent for the CPI-W. When you look at a side by side comparison, it easy to see where a retiree’s expenses are different. The green bars represent the expenses of individuals over the age of 62. You’ll quickly see that housing and medical care take up a lot more of a retirees income. If those categories increase at a rate faster than inflation, the current method just doesn’t keep up. Big change number #3 is to increase the minimum benefit. Now there’s not much said about the Social Security minimum benefit. This is the lowest amount an individual can receive who worked a certain number of years. It’s meant to offer a base income for those who had very low paying jobs. In 2019, the minimum is $872.50 for those who worked for 30 years. The new minimum benefit will be 125% of the poverty level for those who worked for 30 years. Number 4: A decrease to social security taxes. This needs to happen! The numbers haven’t been modified since they were introduced in 1983 and 1993. This is one of the areas of the bill that is somewhat unclear to me. But I think I’ve got it. Currently there is a grid system that your benefits move through. For the married filing jointly, there is no tax if your provisional income is less than $32,000. For the amounts between $32k and $44k, 50% of your benefits are included as taxable income. For amounts over $44k, 85% of your benefit is taxable income. 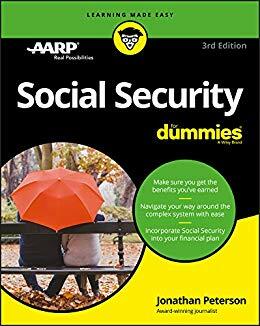 It appears that they are going to simplify this, and let’s say if your provisional income is less than $100k, there is no taxes on your social security benefits. If it crosses over, 85% of your benefits are taxable. Number 5: To increase the maximum wage base. Currently, you only pay social security taxes on the first $132,900 of earnings. For earnings over that, you do not pay the 12.4% tax. The new law would put a gap in how this is taxed. If an individual’s income exceed $400,000, the FICA tax would kick back in. Those “excess earnings” as this bill calls it would not be applied to your benefit calculation at the same rate as they currently are. Instead, a new bracket would be added to credit your benefit by 2% of the excess. Number #6: An increase to payroll taxes. It would happen gradually, only .05% per year, but by 2043 employees and employers would each be paying 7.4%. This means that the total FICA tax would increase from 14.3% to 17.7%. SO that sums up what I think are the BIG changes that could come from the Social Security 2100 Act. As it is written currently, these provisions would eliminate the much discussed insolvency of the social security trust fund in 2034. That’s a good thing! The publicity pieces around this bill say that it would extend the solvency of social security into the year 2100 (hence the name). This is a Bill that I will be watching VERY carefully. When something big happens, I plan to let my subscribers know about it quickly! I want to thank you for taking the time to get informed. So many people just float into retirement hoping everything will work out. Sometimes it does, but sometimes a lack of planning can ruin what should be your best years. This is your retirement! Please continue to stay informed! We’re talking about Senator Bernie Sanders’ proposal to expand Social Security. He’s already announced he’s running for president in 2020 so this proposal is one you need to watch. Let’s take a closer look. This is not the first time he’s proposed such legislation. This was one of his key platform pieces when he ran for president in 2016. Now that he’s announced he’s running again in 2020, you’re probably going to see this a few more times so you need to make sure you understand this. In fact, I would say that even if he drops out of the race early…you’ll see Social Security reform as a central part of any candidate’s platform in the upcoming election. There are 5 key changes in Senator Sanders’ proposal that deserve the most attention. As of the time of this recording, the text of the Bill has not been released, so I’m depending on summaries and fact sheets mostly published by Senator Sanders’ office. If you watched my video on The Social Security 2100 Act, you’ll probably notice some similarities, but there are some big differences too and I plan to do a side by side comparison at a later time. The most notable difference is going to be number 5. For anyone that files as an S corp, or if you just have an investment account that produces interest, dividends or capital gains, this could be huge. The first change is a benefit increase. Without the text of the bill its hard to tell how this will be accomplished but I’m sure it will be through a change to the SS formula where the lower earnings get credited to a benefit at a higher rate. This is also a feature of the SS 2100 Act and it will increase benefits by about 2% on average. The second change is how the cost of living adjustments are calculated. Currently the SSA uses the CPI-W. There is another inflation measurement that isn’t official, but the Bureau of Labor statistics has been updating it for some time on an experimental basis. It’s called the CPI-E and it is meant to track expenses for households where at least one member is 62. 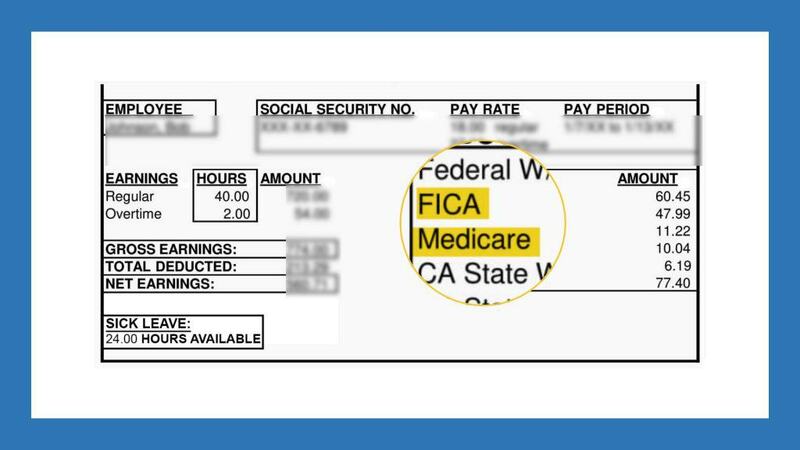 If you look at a comparison of these two measurements, there are certain categories that are higher for older Americans, which means that the CPI-W, the current method, isn’t keeping up. The third notable change is to increase the age for which children are eligible for a benefit. Currently, a child is eligible for a benefit if a parent retires, is disabled, or dies. However, that benefit stops when the child turns 18, or 19 if they are still in high school. This would extend that age to 22 if the child is in college or vocation training. The fourth change is to to combine the two SS trust funds into one trust fund. Currently, there is a trust fund set up for retirement and survivor benefits, known as the old age and survivors insurance fund or OASI, and then there is the disability insurance fund, known as DI. When you pay your 12.4% SS taxes, 10.6% goes to the retirement and survivors fund and 1.8% goes to the disability fund. Unless you’re self employed, you only pay ½ of that and your employer pays the other half. The rational behind combining the two trust funds is that even though these two trust funds are already collectively referred to as the OASDI fund, there are arguments among the politicians when transfers need to happen between the funds. Combining these would simplify the accounting. Then there is the big change… And that is to increase the maximum wage base. But this one has a twist. Currently, you pay SS taxes on the first $132,900 in wages or self employment income. Amounts above that are not subject to SS taxes. Senator Sanders’ proposal has the tax kick back in when income reaches $250,000. But this isn’t just for wages…This will also include all investment income. And it’s not clear whether an individual will receive any credit to his or her SS benefit from the excess taxes they’ll have to pay. That is the quick summarized version of the Bernie Sanders’ plan, but as new details come out, I’ll be sure to keep you informed. 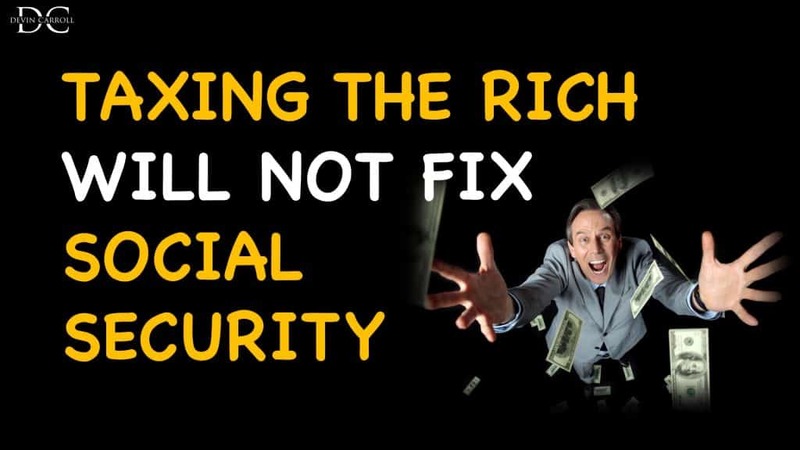 Today we’re talking about why taxing the rich will not fix social security as many believe. And I’m backing this up with facts. It’s widely believed that the issue with the social security system is income inequality and a system that’s stacked in the favor of the wealthy. While it’s true that income inequality does exist, I wanted to find out if the insolvency of the social security trust fund could really be fixed by raising taxes on the wealthy. Thankfully, I didn’t have to launch my own research project and hire a room full of Ph.Ds. The Congressional Research Service has already done the heavy lifting for me in this report which was updated in late 2018. How Much Is Subject To Tax? Before we get into their findings, let’s take a look at what the issue actually is. Currently, in 2019, the first 132,900 dollars in wages is subject to the 12.4% social security tax. Taxes over that amount are not subject to that tax. This leads lots of politicians and talking heads to suggest that the easy fix to all of the SS funding can be found within two options (both of which involve raising the amount of maximum taxable earnings). Option one is to completely eliminate the maximum wage base. If you make a million dollars you should pay social security taxes on that full million. The other option is to have a gap where the current maximum would stay in place and if earnings would have to exceed a certain level for the tax to become applicable again. The amounts we’ll examine today is where the tax kicks back in at 250,000 as Bernie Sanders has suggested, 300,000 and 400,000. But one of the big conundrums that the increased taxes brings up is, if the cap is modified, do the increased taxes add to a social security benefit. For example, if my current benefit at full retirement age is $2,500 but I begin having to pay additional taxes for social security do I get credit for that? Will my eventual benefit increase? There’s been a few suggestions around this but its mostly split between not giving any credit for the additional taxes and an approach that would use a new formula to credit a small part of the taxes to a benefit. Those are the scenarios I want to look at. First, lets look at the most obvious and clear cut method. What if the taxable base is completely eliminated? If there is no credit given to benefits, and those tax dollars paid in have no benefit returned, it would fix 83% of the 75 year shortfall. 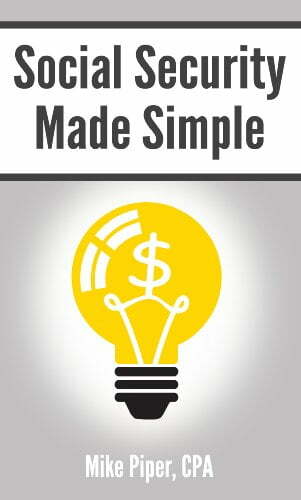 If the current formula is used, which it wont be, this would fix 68% of the shortfall. If they use the new formula, which would credit the increased taxes to your benefit at a 2-3% rate, it would fix 76% of the shortfall. If they use the threshold or gap method you’ll see similar results. If the tax kicks back in at $250,000, this would fix 75% of the shortfall. 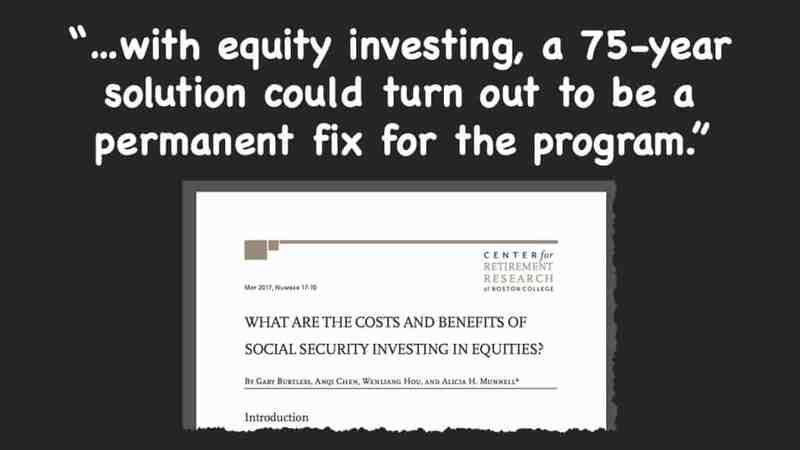 At $300,000 it would fix 71% and at $400,000, it would eliminate 67% of the shortfall. Does it seem like something is missing? The closest that any of these get to fixing the shortfall is the method where the taxable wage base is completely eliminated and there would be no credit to his or her future benefit amount. Is it likely that a social security payroll tax increase will be part of the overall solution? Yes, but by itself it WILL NOT fix the problem. Next time you hear someone shouting that, tell them you know better. Before we go, I want to thank you for taking the time to get informed. Don’t be one of the people who just float into retirement and hope everything will work out. Sometimes it does, but sometimes a lack of planning can ruin what should be your best years. This is your retirement! Please continue to stay informed! Question: Do you think the maximum cap should be eliminated? Please let me know in the comments below. Let’s talk about the third option to save Social Security that NO ONE is talking about. 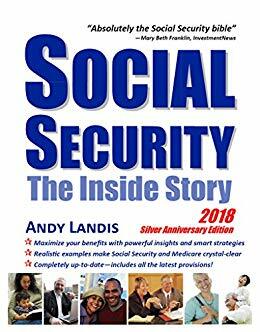 It was almost used in the late 90s and if it would have been implemented, we wouldn’t have ANY ISSUES WITH THE SOLVENCY OF SOCIAL SECURITY TODAY. But it may not be too late…we’re covering this and more so keep reading. Over the past 10 years or so there’s been something that been repeated over and over about solving the issues with Social Security’s shortfall that looks like it will happen in 2034. That is if the solution will involve either a tax increase or benefit cut and probably a combination of the two. However, there is a third option that’s rarely discussed. In fact, its become a bit of a third rail. If yo touch it your political career may be over and that is to invest part of the assets in the trust fund. The quick snapshot is that there is a 2.9 trillion dollar reserve balanace that’s earning a measly 2.7%. This is truly ridiculous. If I got my clients those returns year after year, they would fire me! Since the worker to retiree ratio is getting skewed (more retirees than workers can pay for) there is an increasing reliance on the interest generated by the trust fund assets. Obviously if we have to start taking money out of the trust fund, it will have a lower balance and thus can’t earn as much interest. If we could increase the interest rate now, there may not even be a need to dip into the reserves. The interest alone may be enough. Let me give you some reasons this hasn’t happened yet. Back in 2016, when Senator Hillary Clinton was running for President, she had different ideas about how to save social security. But ironically, it was her husband, President Bill Clinton, who actually proposed this. During the late 90’s he had a study group that suggested multiple fixes for SS. The one he really liked? 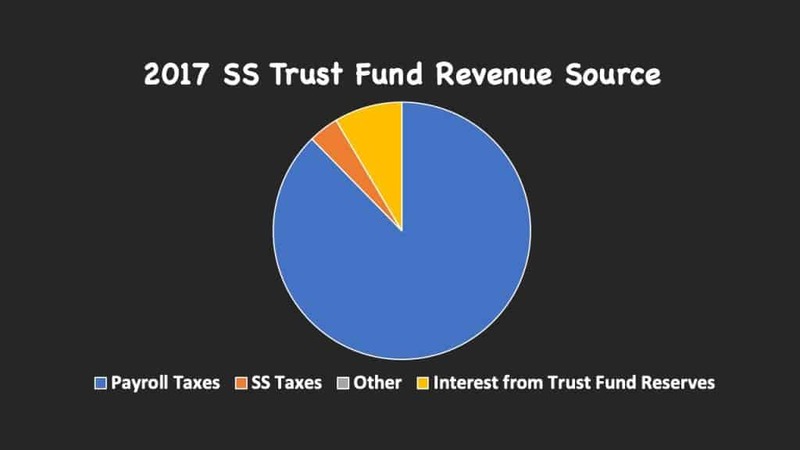 Invest part of the SS trust fund. This made perfect sense! In multiple academic papers that followed it was found that the deficit would be closed completely by doing this. But then something happened that stopped everything. Monica Lewinsky and her blue dress. 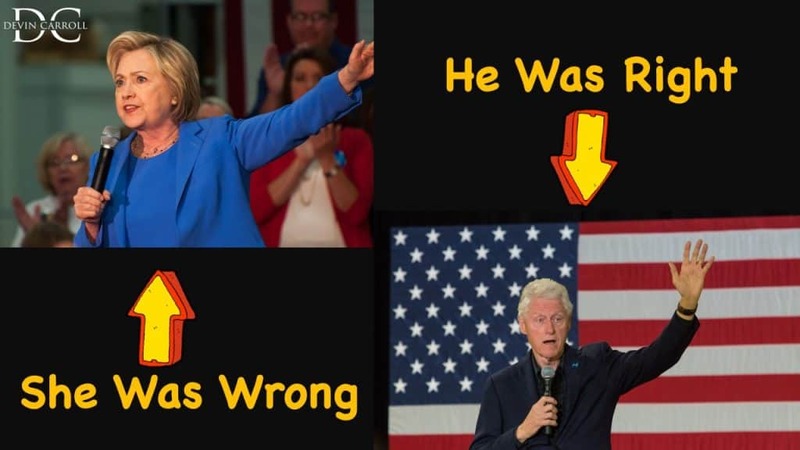 At this point President Clinton was forced to align with his party and abandon his dream of putting safeguards in place that would protect Social Security and Medicare for the long term. In retrospective data a paper from the Boston College’s Center for Retirement Research illustrate that this plan would have been effective, and we would not be in the place where we are today. In this same report they say that investing the trust fund would still fix the issue. At the same time, reports from the SSA say that it wouldn’t have much of an impact this late in the game. So there’s some disagreement there about whether or not this will work at this point. After all, the time value of money needs TIME to work and we’re waiting until the 11th hour to get something done. So let me tell you where I stand. I’m a conservative and find most of my views to align with our conservative legislators. However, no one gets a blank check for my approval. Even though I have comments on my YouTube videos saying I’m a flaming liberal, and other comments on the same video saying I’m a crazy right winger I think that I have a responsibility to support the legislation that makes sense… even if it is from the ‘other’ party. But Everything is framed as good or bad, liberal or conservative, black and white. We’ve gotten to a point where we feel bad for agreeing with a proposal from a party we don’t like and feel like we have to agree with everything our chosen party likes. There is an in-between here. And unless we find it, were going to have a disaster on our hands with Social Security. If we keep waiting the only way to fix it will be drastic benefit cuts or tax increases. Increased taxes on the rich do not create ANYTHING! Instead, the often-unintended consequence is of targeting rich people with more taxes will be a BIGGER gap between the rich and the poor. This is because companies, who are more often than not owned by rich people, are not likely to take a reduction to their net profit or pay. 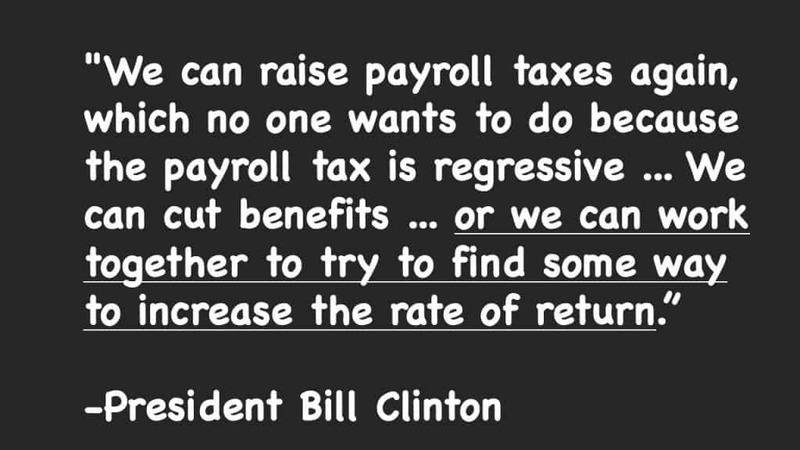 Instead, the increased costs of higher taxes get passed on to employees through pay and benefit cuts. Today I want to talk about FICA taxes. I know…it sounds boring. 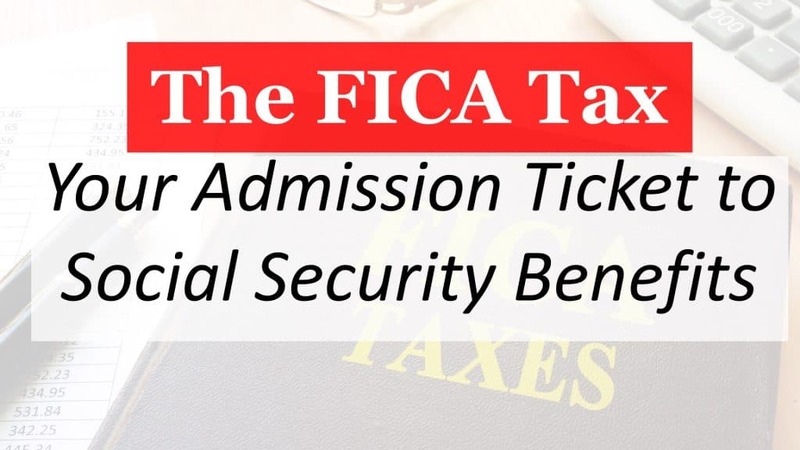 But it’s really important to understand this because it’s the FICA taxes that serve as your admission ticket to Social Security and Medicare benefits. Have you ever looked at the federal income tax brackets and wondered why your taxes are so much higher than the rates published by the IRS? That’s because the federal income tax is a relatively small part of the overall taxes that most people pay. If you take a close look at your paystub you’ll see the deduction from gross pay due to federal withholding. Depending on your state, you may also see state withholding. If you keep moving down you’re going to see a line for FICA taxes. 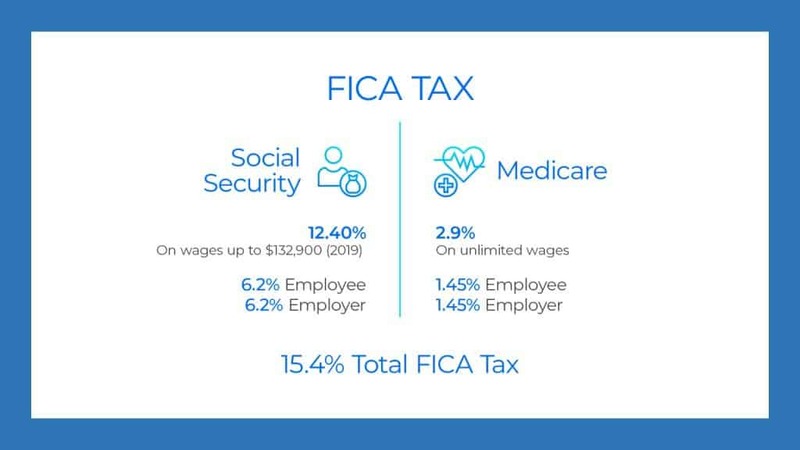 These are the taxes that you contribute to the federal government to pay current recipients of social security and Medicare and FICA stands for Federal Insurance Contributions Act. Now this could be in two lines. One for Social Security and another for Medicare. Or the Social Security portion could be labeled OASDI for the Old Age Survivors Disability Income fund. Whatever it says, there is a strong likelihood that you’re paying the tax. There are a few occupations groups that do not pay FICA, but 96% of all workers do pay it and it is not optional. The Social Security portion. This is also the largest part of Social Security. The total is 12.4%. However, that is limited to the first $132,900 in wages for 2019. The limit of $132,900 does increase every year, but you do not pay the 12.4% on your wages once you cross this limit. Also, you only pay for half of this amount. Your employer pays the other half. Unless you’re self-employed…then you pay the entire amount. The Medicare portion. This is a total of 2.9% in taxes and is also split 50/50 between the employee and employer. This means that in total, 15.4% of your wages are paid in to the social security and medicare. I hope that next time you look at your paycheck you’ll have a better understanding of what those lines mean and what they do. Hey everyone! Today I want to cover the basics of Social Security taxation. As you are planning for or living in your retirement this is crucial to understand. Also, this topic is from a recent poll where you asked for more information regarding social security taxes. How much you owe in taxes on Social Security income can be a big shock. I clearly remember that it was one of my Dad’s biggest retirement surprises. He didn’t expect to pay so much in taxes. Yet there it was…a big whopping tax bill in the first year of retirement. Like a lot of other retirees, he knew that some of his Social Security benefit could be counted as taxable income, but he wasn’t real familiar with the rules on what determined the amount of taxes. This wasn’t isolated to him. Every year individuals retire and are faced with sticker shock when they find out how much they’ll have to pay in taxes on Social Security income. To some, it doesn’t seem fair. You’ve worked for years and paid your Social Security tax as the admission ticket to a Social Security benefit. Now that you’re collecting that benefit, you have to pay taxes? Again? Originally, Social Security benefits were not taxable as income. This was not due to the way the original Social Security Act was written, but rather the result of a series of administrative rulings issued by the Treasury Department. Lump-sum death benefits to the family of deceased workers. So there are two 1938 tax rulings, one covering lump-sum retirement payments and one covering lump-sum death payments. In 1939, the Social Security Act was amended and dramatically expanded to include survivors’ and dependents’ benefits of various types. In a 1941 ruling, the Treasury Department explicitly extended its earlier rulings to these new types of benefits. In 1970, the prior rulings were reaffirmed. However, in 1983 Congress changed the law by specifically authorizing the taxation of Social Security benefits. This was part of the 1983 Amendments, and this law overrode the earlier administrative rulings from the Treasury Department. 10 years later, the Deficit Reduction Act of 1993 expanded the taxation of Social Security benefits. Under this Act, an additional bracket was added where up to 85% of Social Security benefits could be taxable above certain thresholds. The combination of these laws left us with the current tax structure on Social Security benefits. Today, somewhere between 0% and 85% of your Social Security payment will be included as taxable income. In order to determine how much of your Social Security benefits will be taxable, you first have to calculate “provisional income” – a measurement of income used specifically for this purpose of determining how much of your benefit is taxable. Provisional income can be roughly calculated as your total income from taxable sources, plus any tax exempt interest (such as interest from tax free bonds), plus 50% of your Social Security benefits. Once you’ve calculated your “provisional income” you can apply it to the threshold tables to determine what percentage of your Social Security will be included as taxable income. If your total “provisional income” is less than $32,000 ($25,000 if single), none of your Social Security benefits will be taxable. However, if you are married and your total exceeds $32,000 then 50% of that excess is the amount of Social Security benefits that must be included in taxable income. If your provisional income exceeds $44,000 ($34,000 for singles), then 85% of the excess amount is included in income. That can seem confusing so let’s look at an example. Tim and Donna have recently retired. They have some rental property that generally averages $12,000 in net annual income. Their combined Social Security benefit will be $3,000 per month ($36,000 a year). In addition to this income, they will take an annual distribution from their IRA in the amount of $32,000. Using the income from those sources, here’s how the provisional income would be calculated. First, we have the $32,000 IRA distribution. Then we have the $12,000 in net rental income, and then we have their Social Security benefit. And remember that only 1/2 of the Social Security income is counted. Based on these numbers, they have a provisional income of $62,000. Now that the provisional income is calculated, it’s time to find out how much of their Social Security benefit is taxable which is accomplished by applying the income to the thresholds we previously discussed. As we move this 62,000 in provisional income through the thresholds, remember …the first $32,000 of the provisional income has no impact on whether or not a Social Security benefit is taxable. 50% of the amounts between $32,000 and $44,000 will be added. 85% of the amount in excess of $44,000 will be added. In the column on the far right I’ll put the results of the calculation which is the amount of Social Security that is taxable. So, you can see that the first 32,000 adds nothing. The amount between 32k and 44K is 12,000, of which half is counted, so $6,000 gets added to taxable Social Security. There is still 18K remaining about the 44K line and that gets added at 85% which is an additional $15,300 in taxable social security. When you add this up you see that as a rough calculation, a married couple with a provisional income of $62,000 would have $21,300 of taxable Social Security income. This means that for Tim and Donna, they would have 60% of their total benefit subject to taxation. Since you can only spend the dollars you keep, you need to be familiar with the rules about how much you may pay in taxes on Social Security. You don’t have to be a tax expert…I know I’m not. 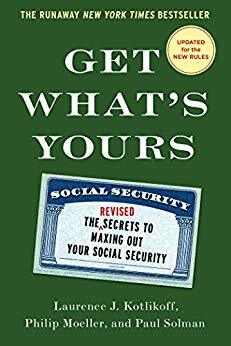 I do understand enough to know how to roughly calculate the amount of taxable Social Security benefits. You should too. For anything deeper, see your tax advisor. High taxes in retirement is a surprise that can often be avoided. Question: Do you think your social security benefits should be taxable? Is Social Security an Entitlement? One of the things that some of my readers get REALLY fired up about is when Social Security is referred to as an entitlement. I can understand why. After all, the term entitlement has taken on a demeaning definition that insinuates getting something that you haven’t earned or maybe even deserve. But is it possible we are all being jerked around a little bit here? Over the past couple of years I’ve noticed that the dialogue about government entitlement programs has gotten really heated. That’s not really a surprise considering the current level of political division. Many of our congressmen and senators have discovered how polarizing the use of the word entitlement is and that they can associate it with words like welfare, or handouts, or charity. Then they can fire up their supporters by loudly proclaiming SOCIAL SECURITY IS NOT AN ENTITLEMENT! So why do they refer to it this way and does it have a negative connotation? If you examine the definition of the word entitlement, you’ll see there is no mention of welfare, charity or handouts. The Merriam Webster dictionary defines it as a government program providing benefits to members of a specified group. The Cambridge dictionary defines it as something, often a benefit from the government, that you have the right to have. Then, in the glossary of the United States Senate, the word entitlement is defined as a federal program or provision of law that requires payments to any person or unit that meets the eligibility criteria. The fact is, the phrase “entitlement program” is simply a term for any government program guaranteeing certain benefits to a segment of the population who qualify for them under specific terms and conditions. That’s exactly what Social Security is. You have to work for at least 10 years with a certain amount of earnings to be ENTITLED to your own benefit. But in the highly politicized world that we live in, what words actually mean and the meaning given to words aren’t always the same. Question: Do you think Social Security should be called an entitlement? Have you ever wondered why Social Security taxes have increased 130% in the last 10 years and what that means for you? I will explain that and why almost everyone will eventually pay taxes on their Social Security benefits. If your Social Security benefits aren’t taxable yet, just wait. It’s probably coming soon for you. It’s hard to have a discussion about taxes on Social Security without a brief overview of how benefits are taxed. They aren’t taxed for everyone, and, at worst case, only 85% of your benefits can be included as taxable income. I’ll get into the actual brackets in just a moment, but let’s take a look at what determines whether your benefits are taxable at all. There’s a term within the tax code called provisional income. I’m not a tax professional, but to my knowledge, the only place this term is found is when it relates to SS benefits. It’s a formula by which the IRS determines how much of your social security benefits should be included as ordinary income on your tax return. This provisional income is simply the sum of your adjusted gross income, your tax-exempt income, excluded foreign income and one half of your SS benefits. Once you add all of those up you have your provisional income and once you’ve calculated your provisional income, you can apply it to the threshold tables to determine what percentage of your Social Security will be included as taxable income. If your total provisional income is less than $32,000 ($25,000 if single), none of your Social Security benefits will be taxable. However, if you are married and your total exceeds $32,000 ($25,000 for singles), then 50% of the excess income is the amount of Social Security benefits that must be included in taxable income. If your provisional income exceeds $44,000 ($34,000 for singles), then 85% of the excess amount is included in income. At first, Social Security benefits were not taxable. That all changed with the passage of 1983 Amendments to the Social Security Act. Under this new rule, up to 50% of Social Security benefits became taxable for certain individuals. Since those brackets have been added, they’ve never been changed! As far as I know, there are no plans to change them in the future. This means that as the general income levels rise, more individuals will be subject to taxation on their social security benefits. For proof of this, look at what’s already happened. Since taxes on SS benefits were introduced, the revenue coming in from these taxes have skyrocketed. Here’s an example: In 2008, taxes were slightly above 15 billion dollars. In 2017, this amount was 130% higher! Here’s the big takeaway: When you’re planning for retirement, you probably ought to go ahead and include your SS benefits as taxable income. I don’t expect these brackets to ever increase because the tax revenue collected is returned back to the SS trust fund and used to pay benefits. There’s just too much trouble down the road for the solvency of SS for anyone to suggest cutting revenue. So, reduce the amount of income you expect to receive from SS to reflect the bite that the IRS will take. Question: Do you think Social Security benefits should be taxable? Put your answer in the comments below and I look forward to seeing what you think about this. There are A LOT of important things that you need to know about Social Security. But there’s one that’s more important than any of them. Let’s dive into this topic because that’s what you’re here to learn about. I’ve often said that you don’t need to know everything about Social Security to make it work for you. It’s like me driving my truck. I have no idea how the internal combustion engine really works, but I know the enough of the basics to keep me safe while I’m operating it. It’s the same way with retirement planning and investing. 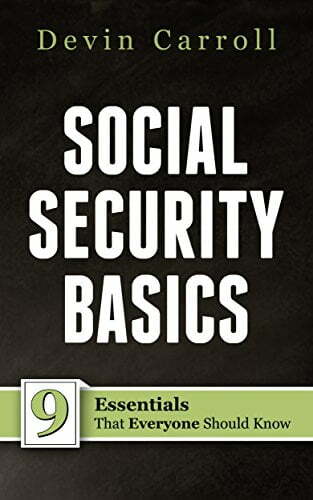 If you have a firm grip of the basics, you’ll be ok. That’s why I wrote this book, Social Security Basics: The 9 essentials that everyone should know. Someone asked me the other day, which of those 9 basics do you think is most important? I didn’t hesitate. Its your full retirement age. Understanding at which point you attain the official age of social security full retirement is crucial so you can understand how the benefit reductions and increases will affect you for the various filing ages and so you’ll know at which point the earnings limit will no longer impact you. Thankfully, this is one of the simpler parts of Social Security. If you were born between 1943-1954, your full retirement age is 66. For every year thereafter, the full retirement age increases all the way to birth year 1960. For everyone born in 1960 or later, the full retirement age is 67 (for now). Understanding this age is important for two reasons. One, you have a limit on the amount of earnings you can have PRIOR to your full retirement age. Once you reach full retirement age, there is no limit. The second reason is how your full retirement age (FRA) controls the increases or decreases to your benefit amount. We often discuss these increases and decreases in terms of annual numbers, but its really important to know how to figure them on a monthly basis. Afterall, if your FRA is 66 & 6 months, your penalty for filing at 62 will be higher than the individual who has a FRA at 66. Here’s the way the monthly reductions and increases work. At your FRA, you are entitled to 100% of your benefit amount. If you file early, your benefit will be reduced. However, the reduction is different based on how early you file. If you file in the 36 month period immediately prior to FRA, your benefit will be reduced by about .56% per month. For months BEYOND the 36 month period immediately prior to FRA, your benefit is reduced by about .42% per month. If you file after FRA, your benefit will increase by about .67% per month up until age 70. So with these simple numbers, you can do the math for yourself and not be forced to rely on the SSA to tell you what your benefit will be. Do you think the FRA will be increased or decreased in the coming years? Please comment below, as I’d love to hear your thoughts.